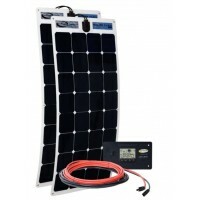 Marine Solar Panel Kits / Solar Power For Boats	There are 11 products. Solar power is a clean, quiet, safe and renewable way to replenish the DC power in your boat’s battery system. Small marine solar panels maintain or trickle charge batteries while you’re unplugged from shore power. Larger panels produce enough energy to power appliances, like an inverter used for producing household-type AC power. We have marine solar panel kits, inverters, chargers, remotes, batteries and more from Go Power, the top brand in marine solar. Go Power 80W Portable Solar Kit - Marine-grade, mobile kit sets up quickly and stores easily for versatile battery charging. Excellent option for those who don’t want to permanently mount solar panels to their boat. 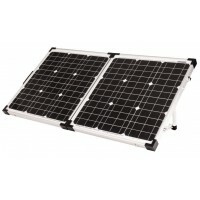 Adjustable folding legs maximize solar exposure and allow compact, easy storage. IP67 waterproof. Also works as a supplemental solar kit to installed panels. 25-Year Warranty! For RV use as well. GP-PSK-80. Go Power 120W Portable Solar Kit - Marine-grade, mobile kit sets up quickly and stores easily for versatile battery charging. Excellent option for those who don’t want to permanently mount solar panels to their boat. 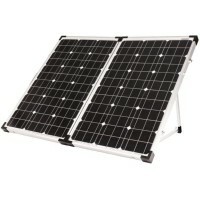 Adjustable folding legs maximize solar exposure and allow compact, easy storage. IP67 waterproof. Also works as a supplemental solar kit to installed panels. 25-Year Warranty! For RV use as well. GP-PSK-120. The Retreat is Go Power's most efficient solar charging kit available, ideal for boats and RVs where space for panels is limited. 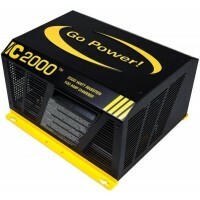 100 watts and 5.43 amps of charge power. IP67 waterproof. Expandable. 25-Year Warranty on panel. 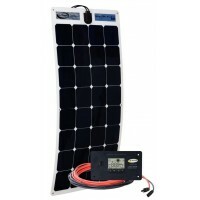 Go Power 100W Solar Flex Kit - Marine-grade, low-profile solar panel kit. Aerodynamic and durable, the flexible panel conforms to almost any surface and is designed to provide a powerful charging solution for boat batteries. High-efficiency monocrystalline cells produce more power per square foot than any other flexible panel on the market. IP67 waterproof. 5-Year Limited Warranty. Easy to set up and install, DIY. Also for RV use. GP-FLEX-100. 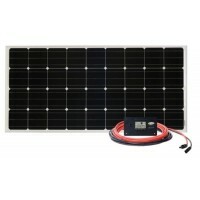 Go Power 200W Solar Flex Kit - Marine-grade, low-profile solar panel kit. Aerodynamic and durable, the flexible panel conforms to almost any surface and is designed to provide a powerful charging solution for boat batteries. High-efficiency monocrystalline cells produce more power per square foot than any other flexible panel on the market. IP67 waterproof. 5-Year Limited Warranty. Easy to set up and install, DIY. Also for RV use. GP-FLEX-200. 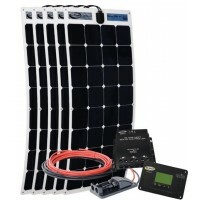 Go Power 500W Solar Flex Kit - Marine-grade, low-profile solar panel kit. Aerodynamic and durable, the flexible panels conforms to almost any surface and are designed to provide a powerful charging solution for boat batteries. High-efficiency monocrystalline cells produce more power per square foot than any other flexible panel on the market. IP67 waterproof. 5-Year Limited Warranty. Easy to set up and install, DIY. Also for RV use. GP-FLEX-500. 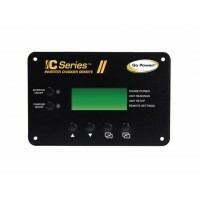 The Go Power Inverter Charger Remote conveniently monitors and controls your IC Series Inverter/Charger with an easy-to-read, 4 line digital display panel. Digital display and menus offer simple operation and use while providing detailed operational data about your inverter charger. GP-ICR-50. 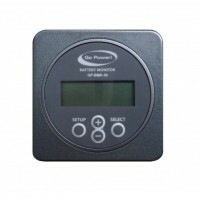 Go Power Battery Monitor - GP-BMK-50. The latest in the Go Power's lineup of quality products, the GP-BMK-50 provides you with the status of your batteries and the ampere hours consumed. 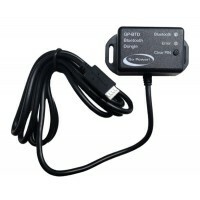 Pair this with the Go Power Bluetooth Dongle and get monitoring info on the go, when you need it! 5 Year Warranty. 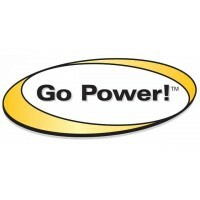 Go Power GP-BTD Bluetooth Dongle. With the Go Power! Bluetooth Dongle you can pair your phone to the Go Power! Connect app to receive live status info, see historical values from your Go Power Battery Monitor (GP-BMK-50). For Android and iOS devices. 5 Year Warranty.